The drive way consists of a belt conveyor. The front roll is coupled with a three phase engine. Three phase engine is equipped with variable speed control and torque measurement. It is as strong that it governs the speed of the belt. 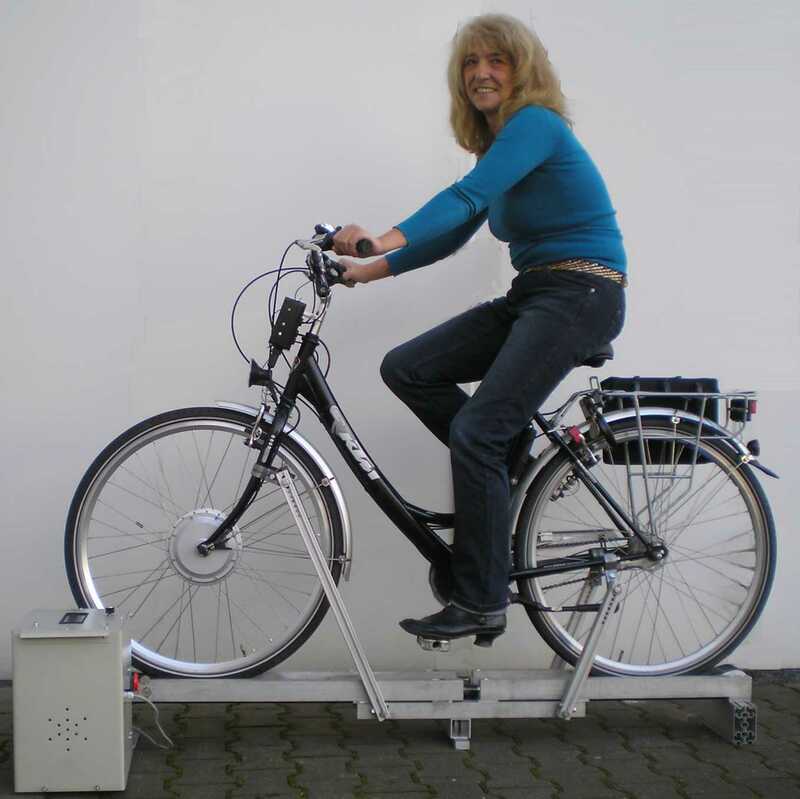 The bike is held in position by parallely movable and adjustable bars which are clamped to the bike frame. The equipment needs not be bolted to the ground. The rider watches the display and can reach the speed controll knob easily. 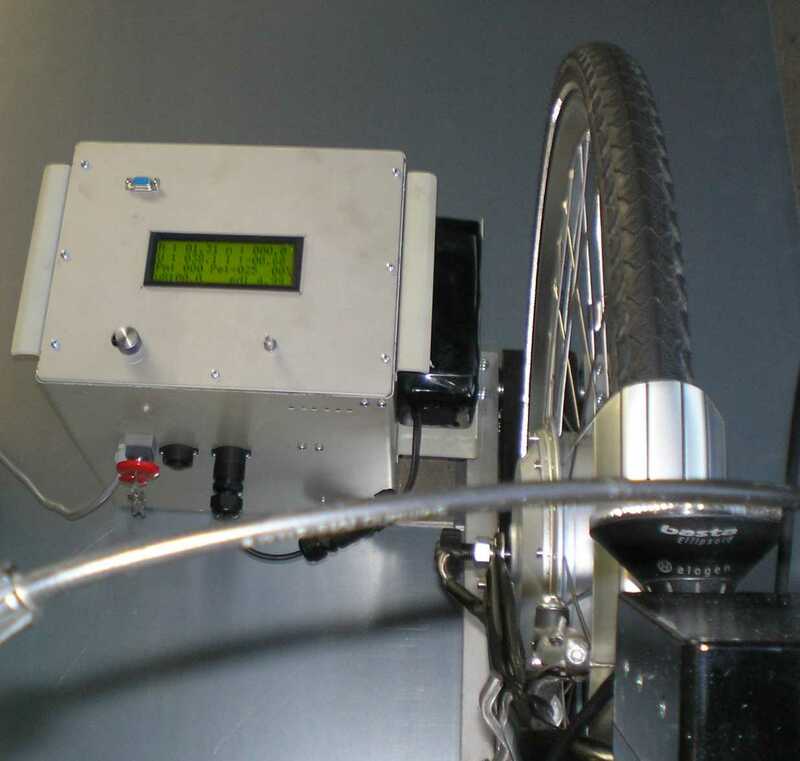 An e-bike equipped with gearless front- or rear motor can be supplied with the unit. T, rpm, V, DC, Pm, Pel, efficiency, C Bike battery is bridged into unit for measure- ment of voltage and current, an extra battery can be put aside the drive-and-control-box With help of serial terminal can be connected with PC . Data acquisition is made with TeLC Software. Max. drive power is 750W Max speed is 50 kmh for transportation drive-and-control-box is decoupled (2 screws) belt way can be folded to ½ length(1m) Current supply 1-ph. 240V. TeLC software : Process screen with table or plotter. Included are control- and switching functions.